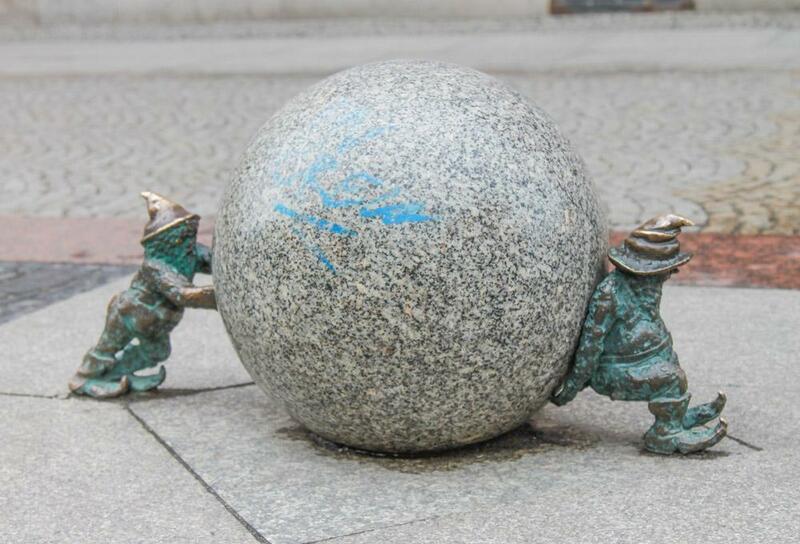 If you’ve read anything about Wrocław then chances are you know about the city’s most famous residents – the gnomes! 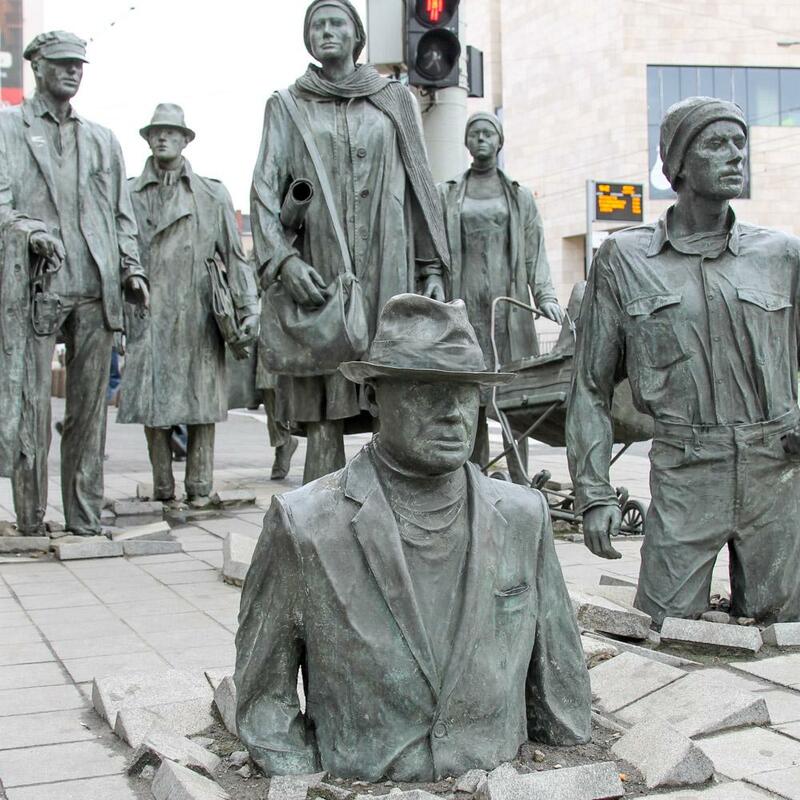 While I had previously assumed it was just a tourist gimmick, Kami explained to me that they actually stem from the Orange Alternative movement in Poland in the 1980s. Now, this may have been explained to me in a dark pub on a late night in Warsaw, so I hope I’m remembering correctly, but basically the movement protested the authoritarian communist regime at the time first by painting political graffiti, but when that would inevitably be whitewashed by the militia they would then paint a gnome over the whitewash. 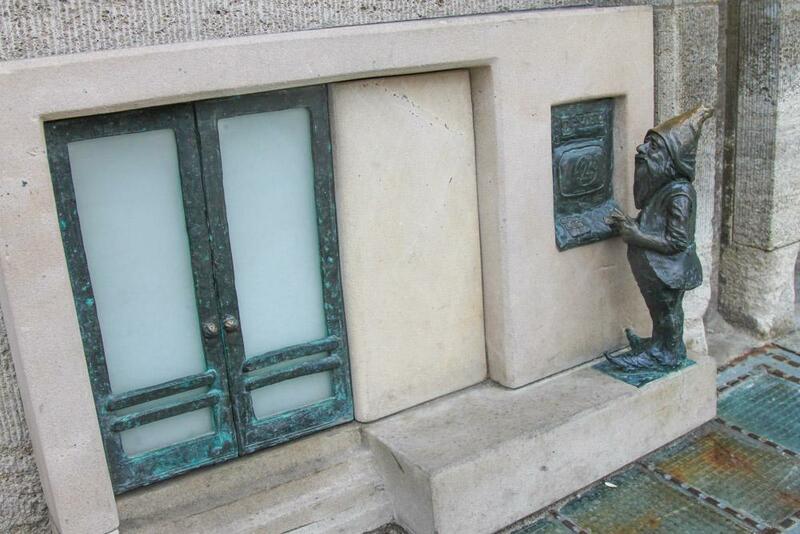 Using a gnome, a symbol with no political connotations on its own, poked fun not only at the sneaky nature of the government “magically” making anti-government graffiti disappear, but it also pointed out the absurdity of such over-censorship. I mean, what better way to piss off the militia than make them spend all their time painting over adorable gnomes? 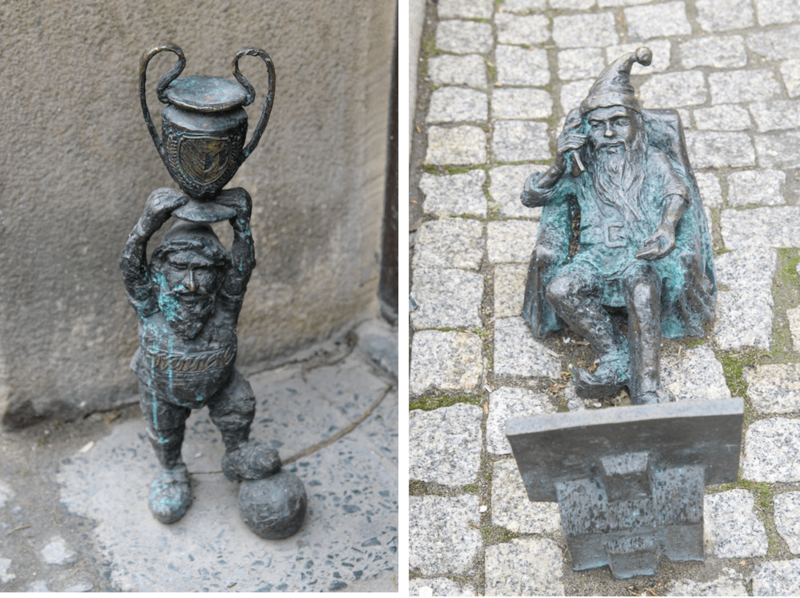 As a sign of how far the city has come, gnomes are now an official symbol of Wroclaw. 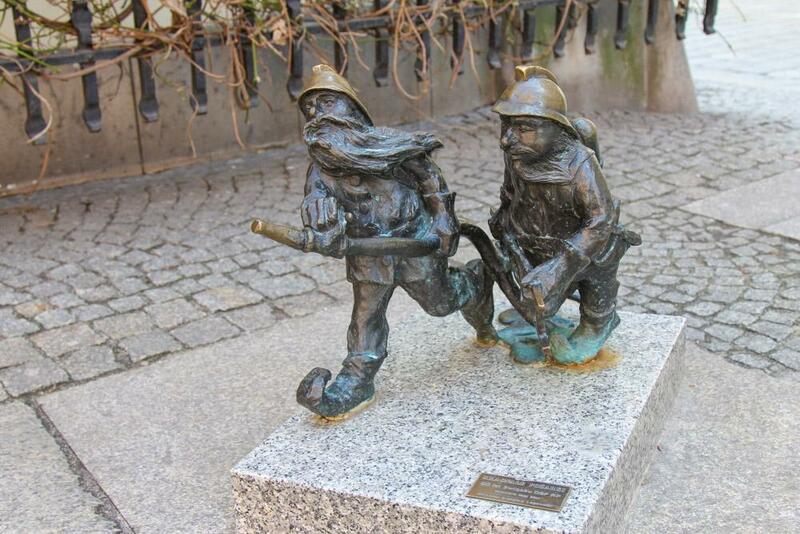 In 2001 the city commissioned a gnome statue to be placed at the corner of Swidnicka and Kazimierza Wielkiego where many Orange Alternative protests had been held. After that gnomes began popping up around the city, many commissioned by local business owners who wanted to be part of the movement. 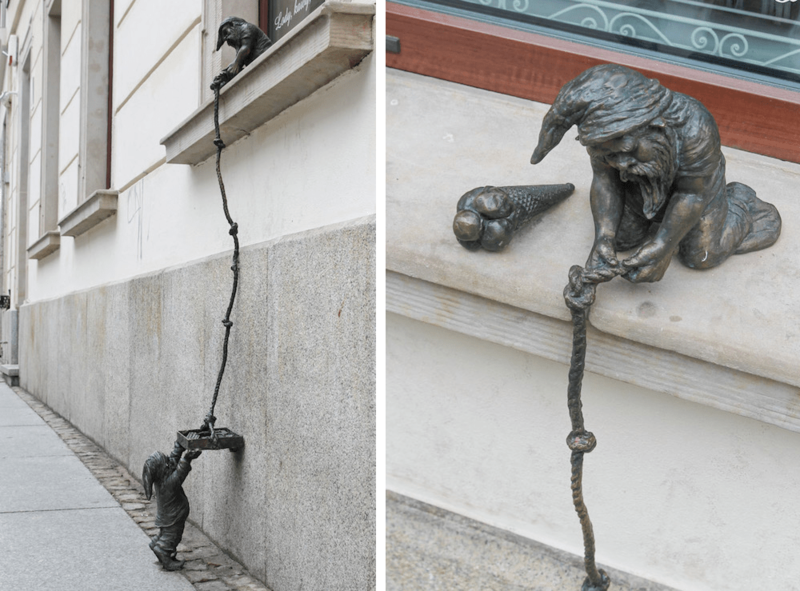 Apparently now there are over 300 tiny gnomes in Wroclaw! 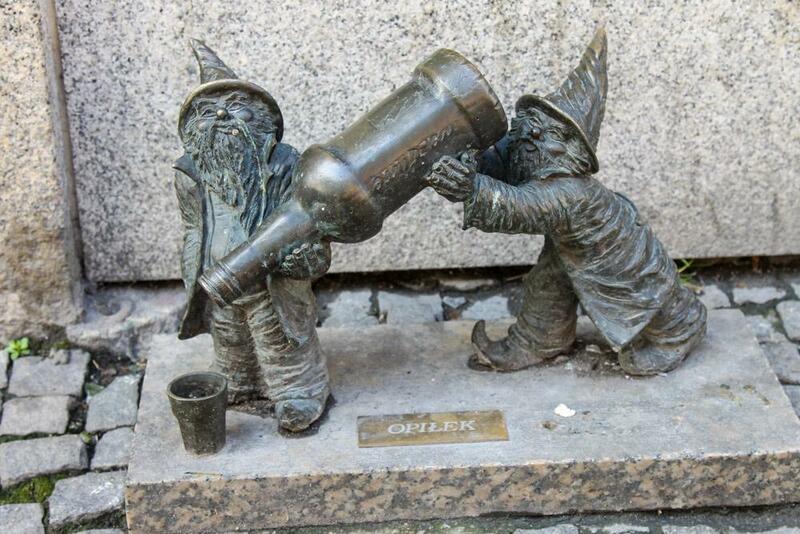 This of course means that searching for the gnomes makes for the perfect way to do a walking tour of Wroclaw. 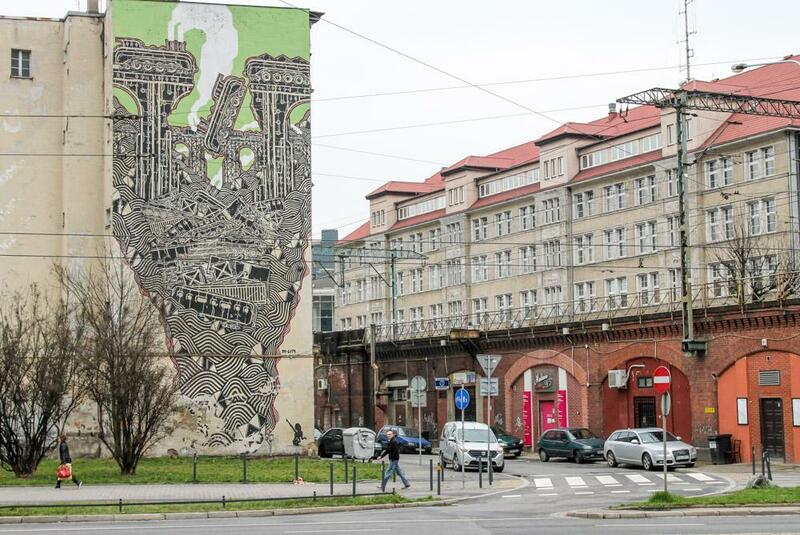 It was like hunting for street art in Lodz, except with gnomes! Well, it would have been, except that… I couldn’t find any. 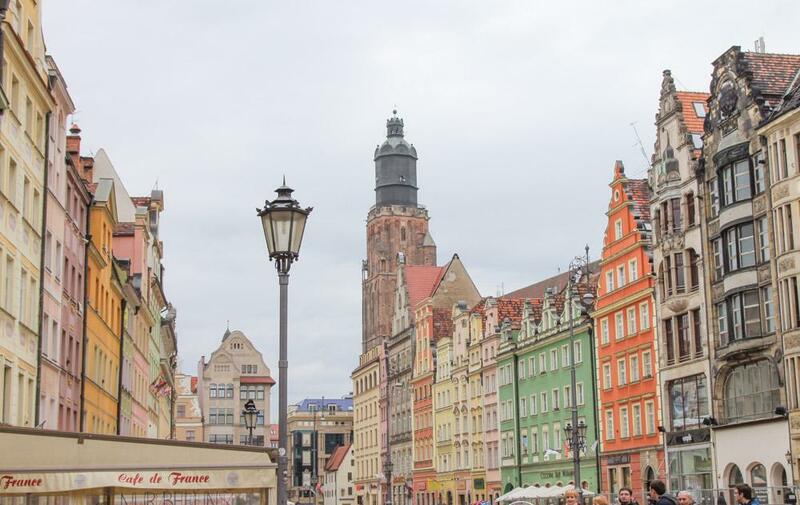 First I should point out that in Wroclaw I was on my own – Dan had gone for a long weekend in Berlin to visit his brother (and also get a break from me after basically spending every waking minute – and sleeping minute for that matter – with me for the past 3 months). 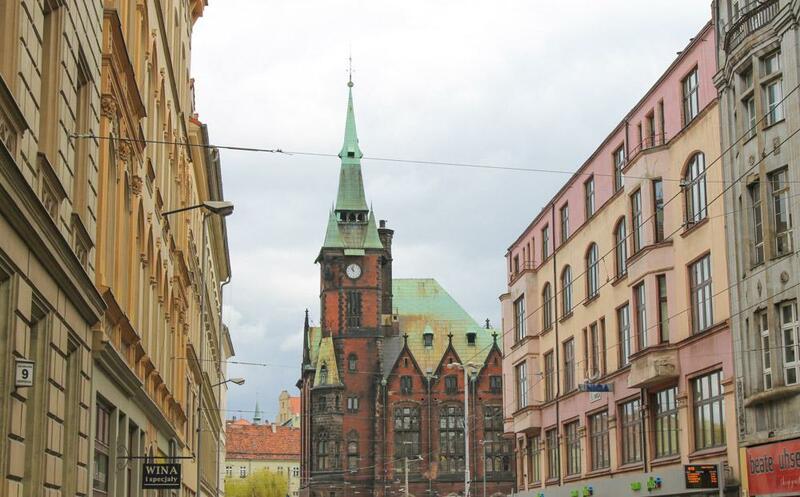 After Leba Dan headed to Berlin and I went to Szczecin (don’t worry, I can’t pronounce it either), though I’m afraid I have little to report from there because I spent my first two boy-free days shopping at H&M and catching up on episodes of Nashville. 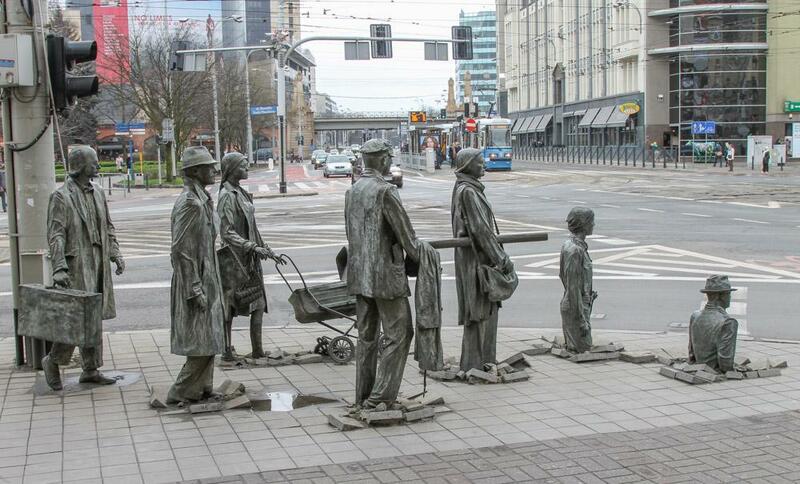 But in Wroclaw I had big plans to see the city, and track down some gnomes! 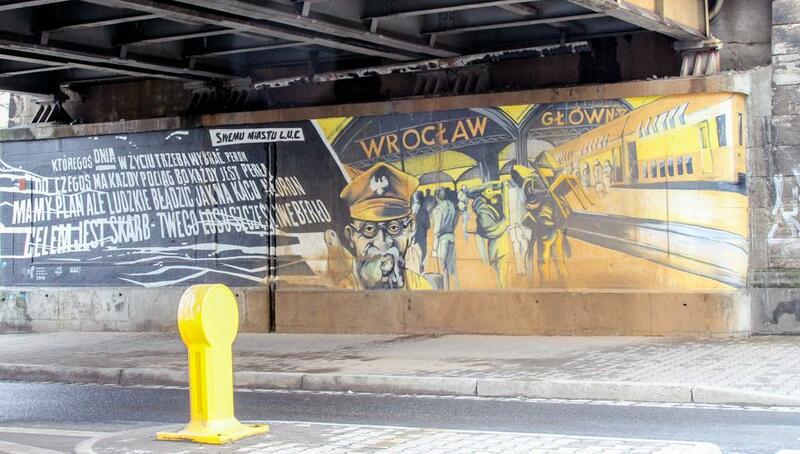 I was immediately impressed by the city’s beautiful architecture and urban art. But where were all the gnomes?! 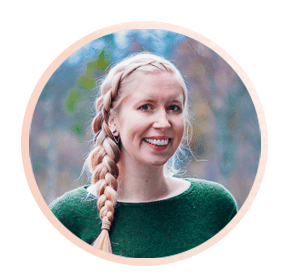 After a couple of hours I was fairly convinced that I must be the least observant person ever – I had had my suspicions in the past, but now it was clearly confirmed – until I (finally!) 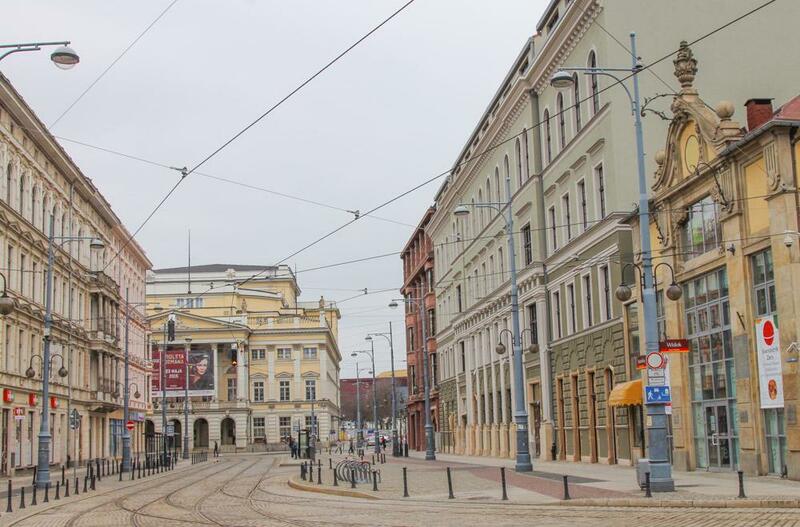 looked at a map and realized I was nowhere near the city center. Whoops, I may have once again gotten too distracted by a bright H&M sign in the distance. I mean, it happens. A sharp u-turn later and I quite literally tripped over my first gnome. 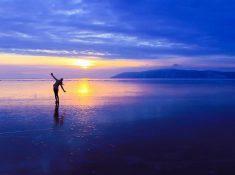 Who knew the pain of a stubbed toe could bring such relief! Soon I was spotting them everywhere, phew. Lessons learned: 1. Maybe sometimes look at a map when you’re in a new city. 2. 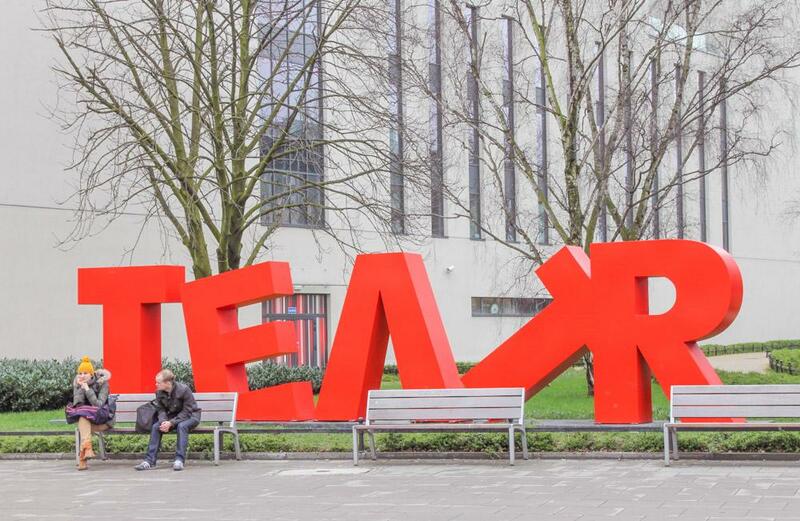 Wroclaw has a sense of humor. I mean, look! 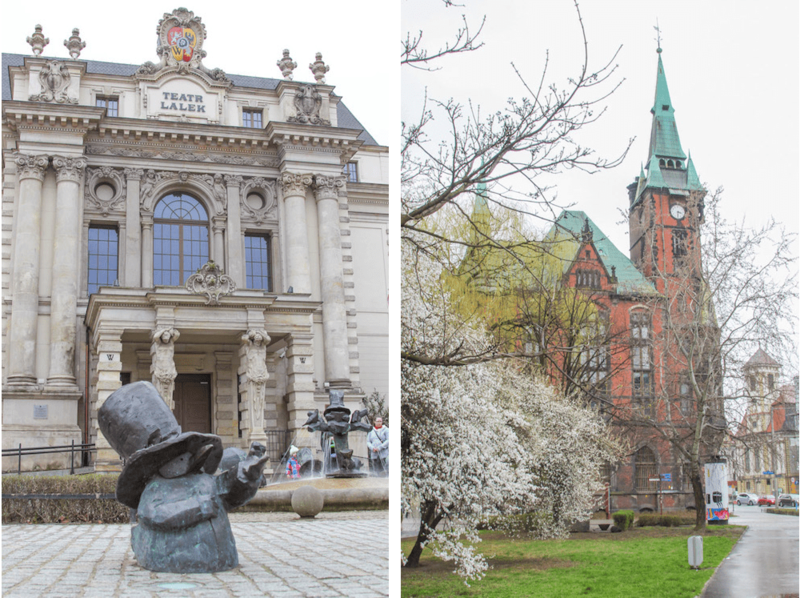 I had also been too preoccupied with the gnomes to properly research Wroclaw and see that it has one of the most beautiful Old Towns in Poland. What a pleasant surprise! 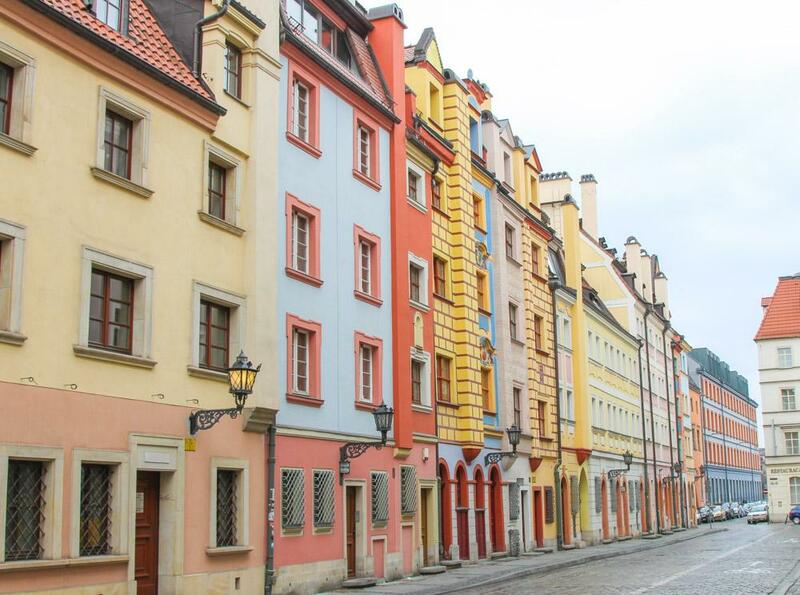 Final lesson of the day: Wroclaw is rich in history, colorful buildings, and gnomes. You should probably go. Oh and if you don’t want to make my mistake and risk not finding any gnomes, apparently there’s an app for that. Who knew? 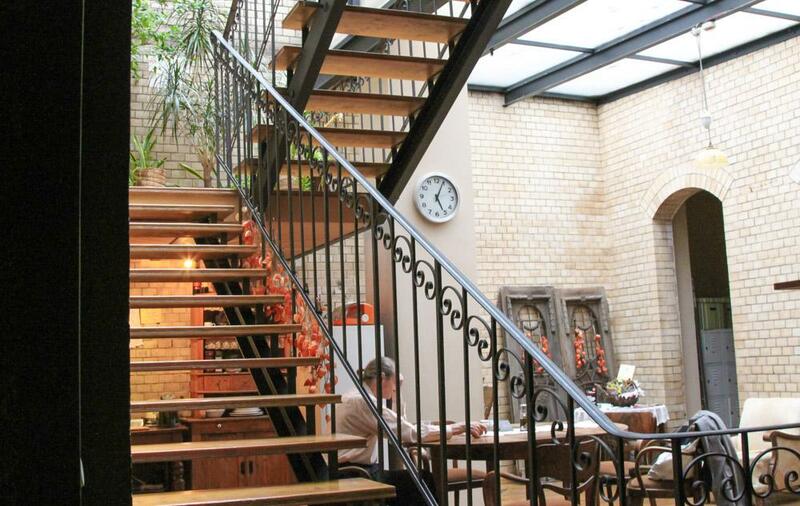 In Wroclaw I stayed at Mleczarnia Hostel, which is so beautiful that I very nearly turned around when I stepped inside because I thought it was too fancy to be a hostel. 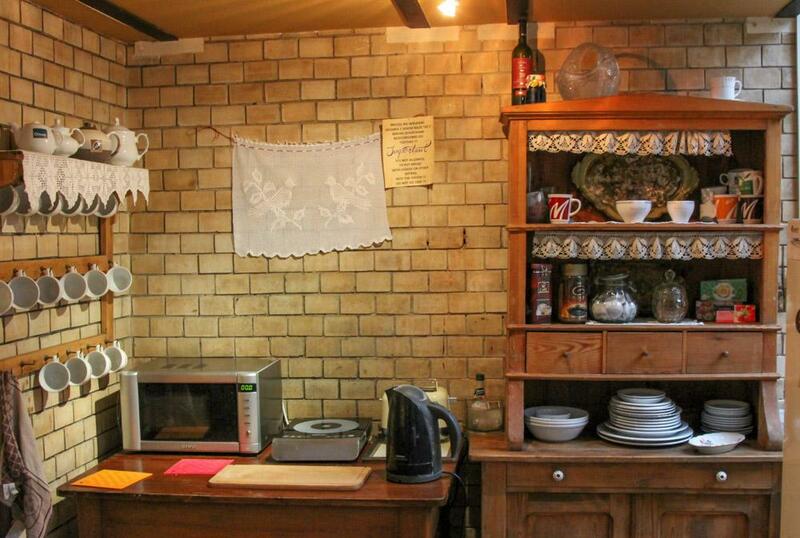 I loved the high ceilings, wooden floors, and classic design of Mleczarnia. Plus, after spending so many nights in mixed dorms with Dan I seriously appreciated staying in a female dorm for a change. The wooden beds were really sturdy, and the foam mattresses were incredibly comfortable! 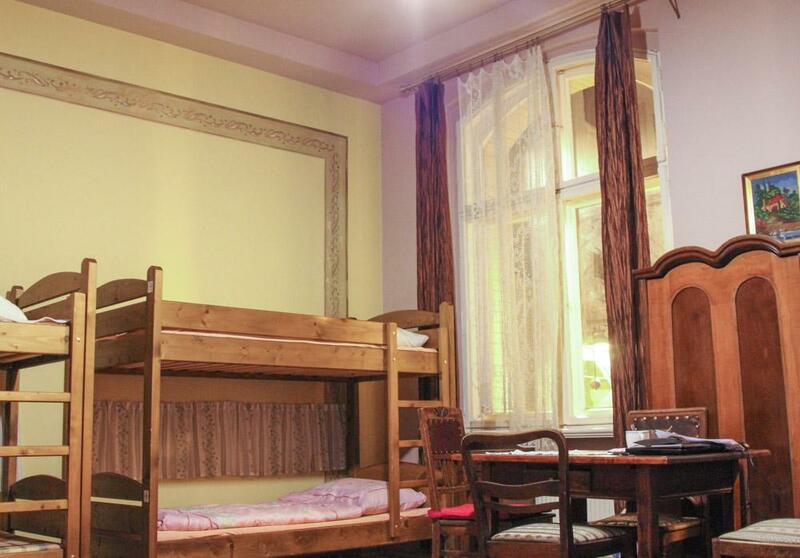 If you like a bit more luxury than a hostel dorm room can offer, Mleczarnia also has hotel standard private rooms. 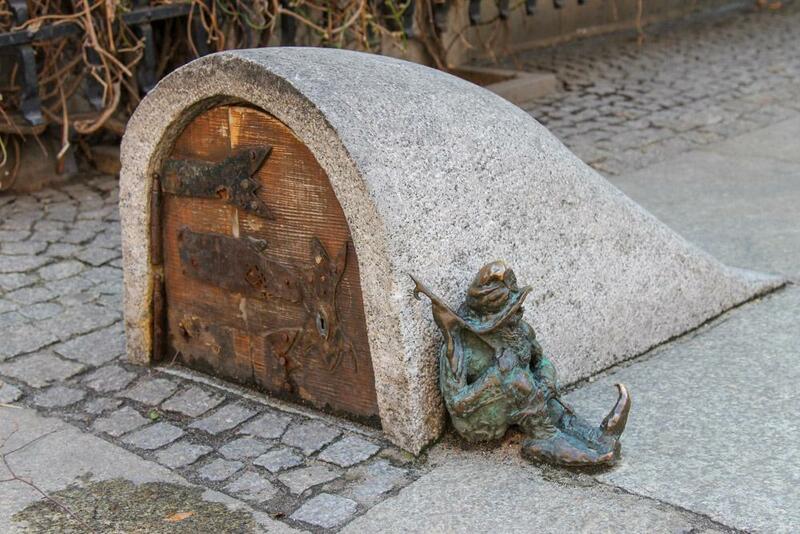 Plus, it’s just a few minutes walk from the Old Town (which is where you should go to find the gnomes, ahem). 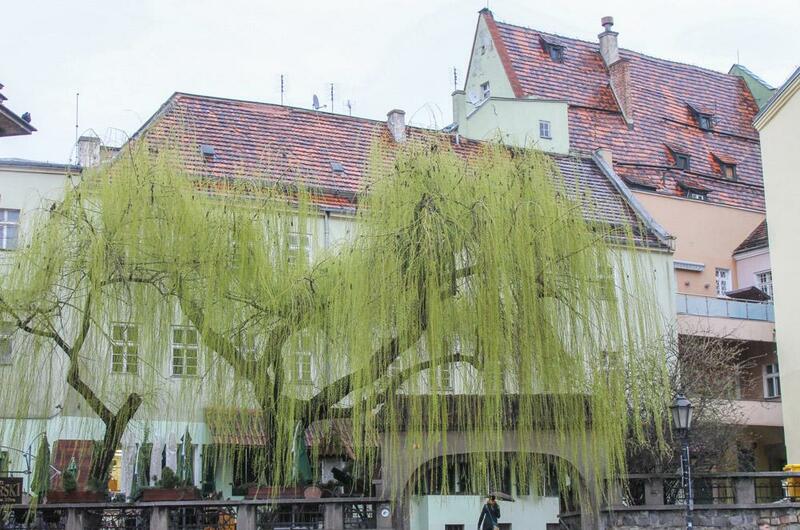 Many thanks to Mleczarnia hostel for hosting me in Wroclaw. As always, all opinions are my very own! 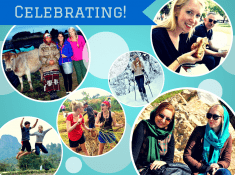 One Year Travel- and Blogiversary! 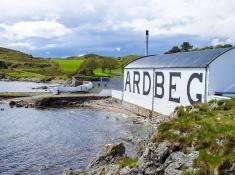 Islay: The Friendliest Isle of All? 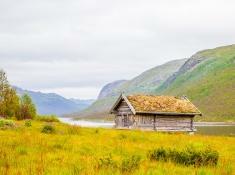 Previous Post: « Let’s Talk About Leba! 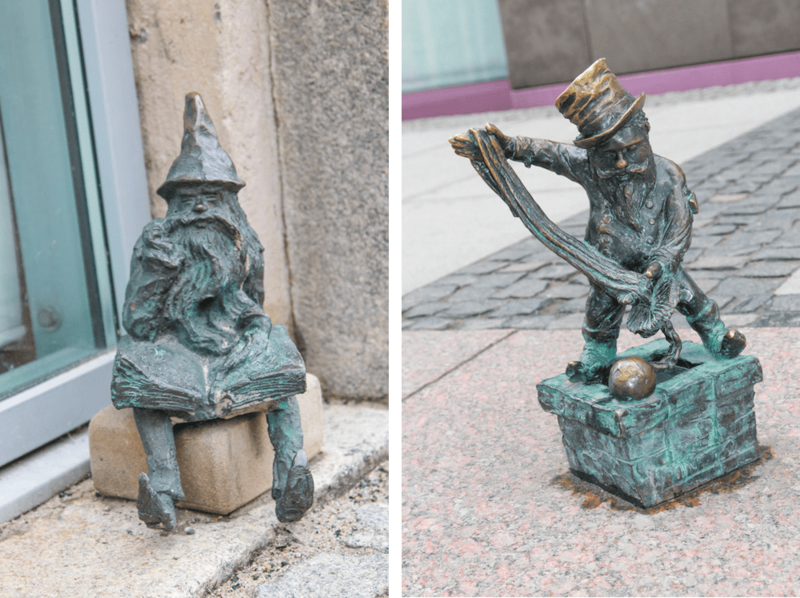 There are gnomes outside of the Old Town city center but you definitely have to know where to look. 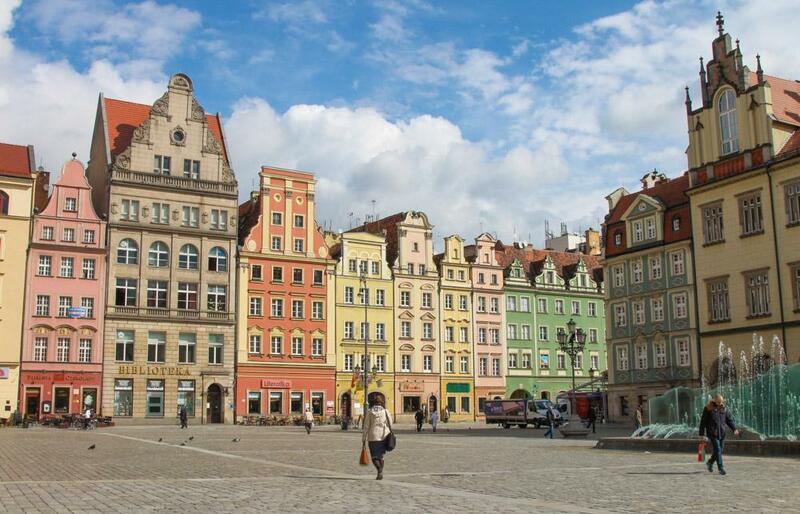 If you are back in Wroclaw any time soon, holla at me, I can show you some places! Ooh yes please, I would love that!